You may have wondered where the warm air in your passenger compartment comes from. Well, as your engine starts to warm up, it also warms the coolant/antifreeze that circulates around the engine and through the radiator. There is also a hose that carries coolant/antifreeze from the engine to the heater core and another one that takes it back into the engine. The heater core looks like a little radiator and lives in the air blend box behind the dashboard. When you turn on the heat, air blows over the heater core which warms it and then blows it into the cabin. Some vehicles have a heater valve that directs coolant through the heater core when the heat is on and bypasses the heater core when the heat is off. In other vehicles, the temperature of the air is controlled within the air blend box by how much air is directed over the heater core. 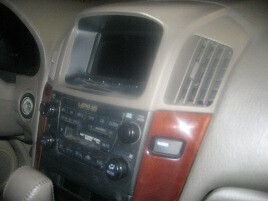 The engine cooling system also encompasses the heater core. Things that adversely affect your radiator will also harm your heater core. The coolant/antifreeze contains corrosion inhibitors that coat the surfaces inside the cooling system, including the heater core. When the corrosion inhibitors are depleted, the cooling system can become corroded, filled with contaminants and may even start to leak. First you may notice a sweet smell from your vents. This is coolant leaking out and getting into the air. You may even see vapor coming out of the vents and notice a film building up inside the windows. Of course, breathing coolant vapors isn’t good for you. The good news is that the things you do to protect your cooling system also protect your heater core. Changing your coolant/antifreeze as directed by your vehicle manufacturer or on the advice of your service technician will help ensure your coolant has enough corrosion inhibitors working to protect the system. Also, quickly repairing any leaks and inspecting hoses for signs of internal breakdown will help keep things from becoming an emergency. Talk with your service adviser at Express Car Care about when a cooling system service should be performed.